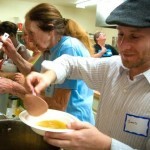 PRC is busy getting ready for our annual Souper Supper. We all look forward to this shared meal — homemade soup, cornbread, and brownies — as we catch up with each others’ busy lives. Soup servers at the PRC 2016 Annual Souper Supper! Our Annual Membership Meeting begins right after the meal – the meeting is open to all. Remember – it is “members-only” for the decision-making part of the evening program. 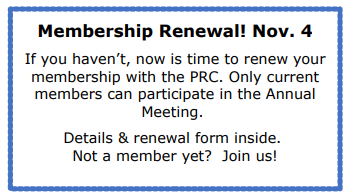 Haven’t renewed your annual dues? Click here or return your renewal form. 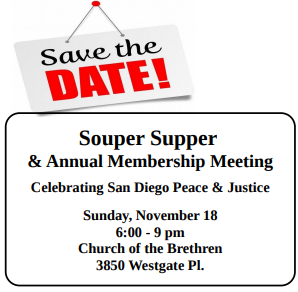 Next → Next post: Fall 2018 News & Souper Supper!